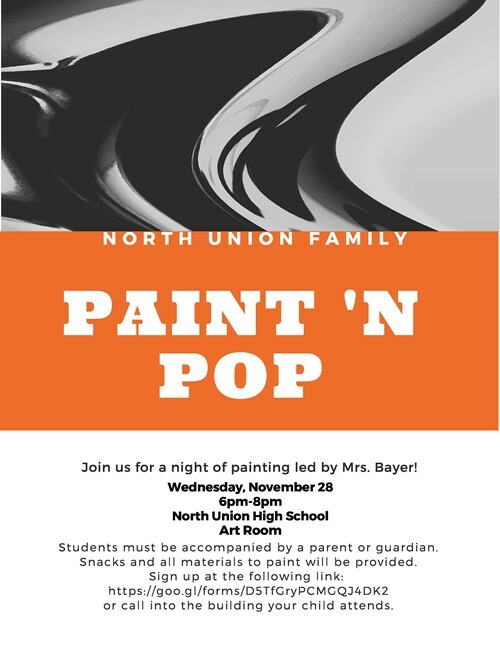 North Union Family - Please join us for a night of painting led by Mrs. Bayer! Students must be accompanied by a parent or guardian. Snacks and all materials to paint will be provided.